Even with the relentless winds on Saturday some Champions were grateful not to have to be wearing their coats to mow their yards. Picking ticks out of one’s long handles just does not seem fair. Fair weather will come in waves intermingled with cool snaps, storms and gentle rains. 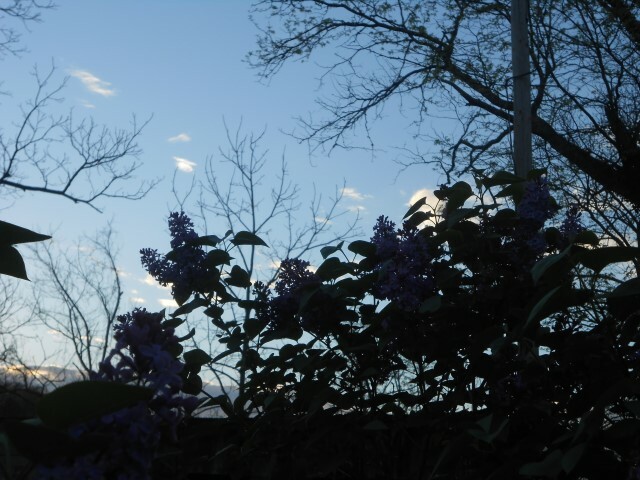 If the lilacs can stay on the bushes in this kind of wind, who is willing to complain. Standing solitarily here and there amid the ravaged aftermath of some particularly brutal logging are a few spindly dogwoods blooming to beat the band. It is heartbreaking on the one hand to see the devastation and heartwarming on the other to know that those little trees, freed from competition, may reach their full potential. Change is constant in Champion. This is an exciting time of the year for school children. Teacher Terri Ryan was excited about the cinnamon rolls that would be waiting for her when she arrived at school on Friday. There had been a ‘Muffins with Moms’ day and there are many interesting days ahead as the school year winds down. Silvana Sherrill in the second grade has her birthday on the first day of May—May Day. That is a special birthday. She shares it with Mrs. Ryan, the cinnamon roll lover, and with bus driver Beth Caudill. They all share the auspicious day with a special double cousin who lives in the Magic Rio Grande Valley. Silvana’s mother, Nathaly J. Sherrill, had her birthday on the 19th of April. She is the owner operator of The Finishing Touch Nail Studio in Ava who will get double business when this very special cousin comes to town again. Madison Shearer is in the 6th grade. She shares her birthday on the second of May with (Brenda) Lee Mastin, a good friend who lived west of Ava for some while and now lives in Springfield. 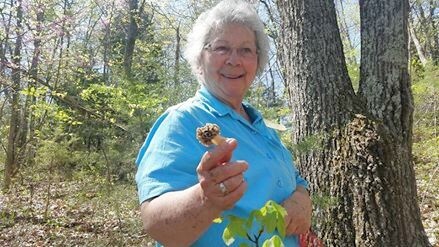 Her granddaughter is the famous Olivia Trig Mastin of Mill Pond crawdad fame. Madison will be the age of young ladies who are in the sixth grade and (Brenda) Lee will be seventy! They share their birthday with Nellie Hector Miller, an Arkansawyer, returned to her Texas roots, who will be 100, i.e. one hundred years old. She was the fourth of four sisters followed by three brothers, cotton farmers in Texas. Nellie did not spend much time in the field, but kept house and helped her ailing Mother in the kitchen. These days she goes to exercise class twice a week and teaches Sunday school to ladies 80 years and older. She admonishes them to keep their eyes open in class, lest they be mistaken for dead. Aunt Nellie has a sense of humor. In 1864, President Lincoln wrote in a letter to Colonel William F. Elkins, “I see in the near future a crisis approaching that unnerves me and causes me to tremble for the safety of my country. Corporations have been enthroned and an era of corruption in high places will follow, and the money power of the country will endeavor to prolong its reign by working upon the prejudices of the people until all wealth is aggregated in a few hands and the Republic is destroyed.” He was a far thinking individual who today has admirers across the whole spectrum of political belief—far left to far right and all in between. There is definitely some trembling going on. Beliefs are strong and rarely change. The road to Damascus does not pass through Champion. A person could get there from here but it would take some doing. Mr. Hubble was a far thinking man too. He was born in Marshfield, just a few miles from Champion. His discoveries and insight are allowing us to see far beyond the limits of our eyes into the amazing and expanding universe in which we are but a speck. It is good to get a perspective about our relative insignificance, but good also to see that each of us is as significant as any other. Our participation in the political process is our only tool to preserve the Republic. Apathy does not fly. Register and vote. Pete Proctor had the honor to sit right down front at the dedication of the Vietnam Veteran Memorial at the College of the Ozarks on Wednesday. There were hundreds in attendance, veterans, friends and family members as well as students of the College and local school children. A large group of Patriot Riders and members of the Rolling Thunder had already assembled in Branson preparing to gather, 35,000 strong in Washington D.C. for Memorial Day. Pete said the dedication was very impressive with a presentation of colors, a 21-gun salute, and Taps. Little children opened the ceremony laying roses at the base of the statue that depicts three soldiers in combat uniform poised for action. The statue is flanked by two granite walls that contain the names of all 1410 Missouri Veterans. Each of the 1410 casualties was represented by a red rose. Pete reminds us that there are still 1,700 missing soldiers of that conflict. They have just discovered remains of a young soldier from Centralia, Missouri and his name will be added to the memorial. Jerry Davis, President of the College of the Ozarks said the project was long overdue. They have been working on it for four years. Pete said he shook a lot of hands and that there was a lot of emotion being expressed, “Welcome home. Thank you for your service.” He says it is something that everyone ought to get to see. Take the first exit off of 65 just past Branson. It is easy to find. Saturday found Pete mowing the Denlow cemetery. He and Robert Upshaw keep the cemetery and the parking area around the church and pavilion in good shape. They do it just as their fathers did. It was not unusual to see Cletis Upshaw there in years past just sitting on a bench or out in his truck. Many Champions would like to go back to spend another hour listening to Cletis. He knew every nook and cranny in these parts and what happened in each one going way back. The General posted a note on the internet, “The Denlow School Reunion for 2015 will be Saturday, 23 May (Memorial Day weekend) at the Denlow Church and Cemetery. This year and future reunions East Fairview and Denlow School will be held samueltam, simitameous, simlar, ah, ah, at the same time. Hey, we could have a spelling bee: Fairview vs Denlow students. I will disqualify myself from the competition as I attended both schools.” On Sunday of the Memorial Day weekend Proctors will gather at Denlow from all across the country for their reunion. The family will be reminiscing all over the place. For example, that beautiful log house just east of Denlow on 76 Highway was built by Andrew Proctor. He was born in 1869. The house was last occupied by Dess Coffman. It has fallen into disrepair, but even as its bones are starting to show, the house shows itself to have been well constructed. Imagination fills in where history is absent and a person can easily imagine what life might have been like living there in the early part of the last century. If these hills could talk, or if we had paid better attention to Cletis, less history would be absent. The spring social season is well underway. 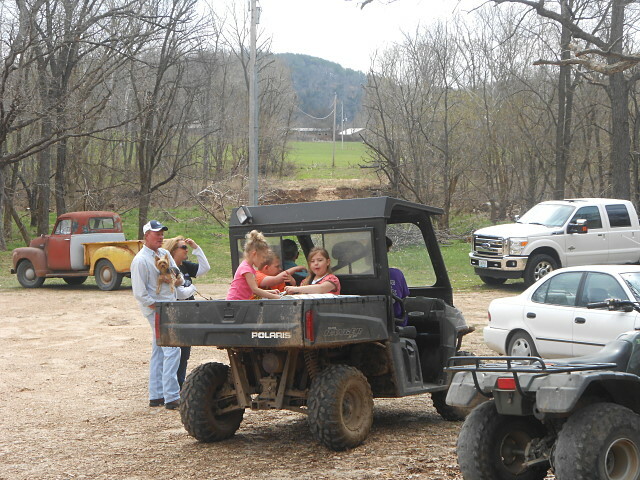 Bud Hutchison and his bunch will head up the Spring Trail Ride in Champion on the morning of May 6th. They will take off going East or North and go ambling around the way they do. They will have adventures and stories to tell when they wind up back at their starting point a few hours later. No word is out yet about whether Cowboy Jack will join the group. If he does, the outfit will be having more fun. Wilma will come and organize a good photograph and another epic escapade will go down in the books. These are busy days getting the garden ready, gathering with family, planning the spring and summer events. River’s yard sale has been postponed until the good weather on the week end. A trip for manure might be possible with a few dry days ahead. There is spring cleaning to do and regular obligations that require attention. Meanwhile, many thousands around the world are in dire straits. The huge earthquake in Nepal has affected much of the population of four countries. The erupting volcano in Chile has covered large areas of several neighboring nations in ash. Our own west coast is in severe drought and the east coast is experiencing tornadoes for the first time. With prayers for those suffering and gratitude for our safety Champions are Looking on the Bright Side! At this time of the year Champions are loath to leave home for any reason. Why go elsewhere? Still, a person venturing out of the country and into the town will find the familiar sights along their roads changing dramatically hour by hour with white explosions of dogwood and pink smudges of redbuds and the forests filling in with all the tender new greens and rich dusty golds of pollen laden oaks. Houses are disappearing in the woods again and soon summer’s green curtain will obscure winter’s view. The only constant is change. Among the stories being told at the Wednesday gab-fest at the Historic Emporium in Downtown Champion was one about the delivery of a new used riding mower. It arrived on a trailer and the fellow who unloaded it took his seat to back it off. It started right up and made a rapid trip backwards before arrangements had been made to accommodate the height of the trailer—about two feet. The upshot of the quick trip was that the gentleman wound up flat of his back with the lawnmower on top of him and his wife and sister-in-law were thrown into a sudden scramble to get the thing off him. He seemed no worse for the wear and, as of Sunday, still had no serious repercussions from the incident. The lawnmower smoked a little when it was restarted but also seems to be working just fine. This was an example of some excitement that had a good outcome. A soft spoken man in a good looking black cowboy hat happened to mention that a stray bullet will do as much damage as one aimed right at you. Elmer had complimentary things to say about the reporting of the story of his little black hen taking a vacation in Champion a couple of weeks ago. He was reminded of another traveling chicken story. A few years ago his friend, J.T. Shelton, came over to his house early one morning with his dogs to do some hunting. About sun-up they heard a rooster crow. Elmer did not have chickens at that time so it was a mystery. It turned out to be one of J.T.’s little roosters which had been roosting up on the axel of his truck. J.T. crawled under it and grabbed the little bird. He put it in a dog crate to take him home. What made the story so interesting was that Fox Creek was running pretty high at the time and the little rooster had managed to hold on to the axel while completely submerged. Two new members were added to the Skyline School Board in the April 7th election. They are Josh Strong and Steve Moody. Mr. Strong has a child in school and Mr. Moody has a vested interest, as does the entire community, in having a well-educated population. His banking experience might be helpful as the board works to spread the meager budget around to cover all the necessary bases. They join Dana Lambert, who has been serving well on the school board for a long time together with Roy Roworth, James Brixey, Tim Scrivner, and Leslee Krider. Skyline Students enjoying birthdays soon are Haley Wilson, a sixth grader with a birthday on the 23rd. Shelby Wilson is in the first grade and has her birthday on the 24th. Prekindergarten students, Eli Johnson and Teagan Krider, celebrate on the 28th and 30th respectively. It is a great little school. The nurse from the Douglas County Health department will be there from 8:00 to 10:00 a.m. on the first Tuesday of the month to do blood pressure checks and other health screening free to the community. Angela Souder is the DCH nurse who comes to Henson’s Grocery and Gas on the last Tuesday of the month. She will be in Champion on the 28th from 9:00 to 11:00 a.m. She is having a positive impact on some prominent locals who are now making it a point to balance some of their unhealthy eating habits with some healthier choices, like milk with their chips and candy bars instead of a soda. Little by little–change is the only constant. Ms. Ethel McCallie from over in Nowata, Oklahoma called for a nice visit Sunday evening. She had read the reports of the Good Friday tornado over in Vanzant and was just checking in to be sure her friends had made it through the storm. She was most sympathetic to River Stillwood, whom she much admires. She said that she knows what it is like to lose everything. Twice while she was a child her family home burned and they lost everything they had. She is glad that River lives in a community where people come out to help when there is a need. Ethel says she is very frightened of tornadoes and a few years ago she heard on the television that one was four miles out, headed straight for Nowata. She prayed that it would turn its course out over some open land and that no one would be hurt. She said her friend outside of town stood in the front door and watched the twister turn and move right across the field in front of their house. Ethel will have her 98th birthday in August. She has made it through many storms of life and still has positive outlook and a good sense of humor. She is healing up from another fracture but hopes to make it back to Champion this summer. Her friends will be waiting. Some gardeners are enjoying fresh salads from their little patches and will be getting their peas in the ground soon. Judie Pennington, who lives over in neighboring black bear territory has been pacing the floor since her birthday back in February (or was it March?) waiting for mushroom season. It is finally here and she has had some good luck in her hunts with her visiting daughter and friends joining in the fun. It is always a joy to see friends getting just what they want. A satisfied smile enhances even an already beautiful face. “Just let a smile be your umbrella on a rainy, rainy day and if your sweetie cries, just tell her that a smile will always pay. Whenever skies are gray don’t you worry or fret. A smile will bring the sunshine and you’ll never get wet.” Judie knows a little sunshine after the rain is the receipt for her favorite dish. 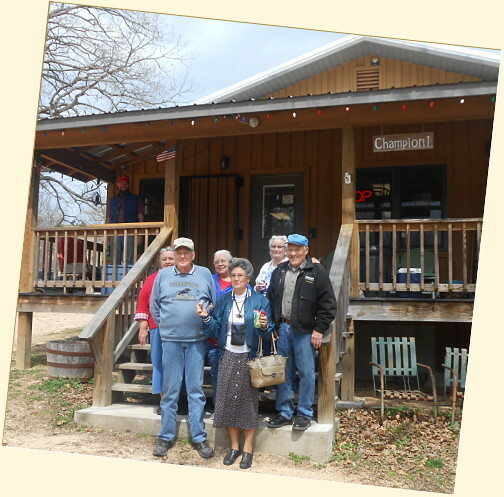 The fine Ozarks Watch Magazine was delivered to Champion on Wednesday morning by one of its authors. It comes out twice a year and this time includes some interesting articles about the various country stores in the Ozarks. “The Champion Store” is featured prominently. The magazine is available for perusal in the reading room at the Recreation of the Historic Emporium. The article seems to say that the store is in a back-water, off the beaten path, a little difficult to find. Au contraire! It is right where the pavement ends at the junction of several country lanes, at the bottom of several green hills on the wide, wild, wooly banks of Old Fox Creek. It is due North across the Square from the monolithic stump that towers over the old school where the bees are buzzing in Champion—Looking on the Bright Side! It is a joy to see a hummingbird at the feeder again as hour by hour spring is more pronounced in Champion. Monday morning’s hard little rain was just what the garden needed. The mushrooms will be encouraged to continue popping up out in the woods and daily life will carry on at its most tranquil pace. The Champion Stump over on the South side of the Square is such an eye catcher that new neighbors to the north have sought to emulate it. The monolith has been copied with some success, but the new ones will likely be pared down to fence post height. A little farther up the road that particular kind of logging that leaves a twisted, tortured landscape behind, full of split and damaged saplings, has been going on for a while. The only constant is change. The news that Lannie Hinote will be leaving Skyline School is a surprise. She has been an inspiring presence there for a long time and will be sorely missed. The good thing is that she will have to learn how to salmon fish. That will be no chore for a woman who loves fishing the way she does. She will be moving to the Western Yukon Valley in Alaska where she will teach in a place called Mountain Village. She will be posting pictures of the Northern Lights and selfies with her salmon and, thanks to the internet, her many friends here will be able to keep up with her adventures. All her Champion friends will be wishing her good luck and great success. Meanwhile, back at Skyline, Mr. Roworth, Mr. Scrivner, Mr. Krider, and Mr. Brixey have been joined by Mr. Strong and Mr. Moody on the School Board. It is their task to take a pitiful little amount of money and spread it around to all the places where money is required to keep the wonderful little rural school going. Someone said recently, “If we disparage education, label informed people as ‘elitist’, and regularly question proven history and science, we can get millions of Americans to vote against their own well-being.” The Student News Daily says, “We all want the same things in life. We want freedom; we want the chance for prosperity; we want as few people suffering as possible; we want healthy children; we want to have crime-free streets. The argument is how to achieve them.” These youngsters at Skyline are doing their part now to become the educated, informed voters who will be able to engage in that argument in a productive way. A US citizen must be seventeen and a half years of age to register to vote and 18 years of age to vote and a resident of Missouri to vote here. Champions vote! Ethel Leach agreed to act as an informant for The Champion News covering last week’s Wednesday Confab in the Meeting Room of the Historic Emporium, though she said, “Things just go in one ear and out the other.” She has been doing her chores on the farm and hanging out with Bob and otherwise occupied so her report is running a little late. According to other sources, there were some notable absences which may result in a check mark by their name on the roster if it happens again. The Skyline VFD Auxiliary met at Henson’s Grocery and Gas on Wednesday evening. The meeting was well attended and a variety of issues were discussed including the recent chili supper and possible changes and improvements for the event next year. Equipment for the volunteer firefighters is always the major focus of the Auxiliary. Currently they are looking into a specialized kind of glove that will allow the firefighters to work more safely and efficiently. Another meeting is being scheduled for June 10th when the Skyline VFD Picnic will be the subject of discussion. Like the school, this little rural fire department is a key element in a vital community. Ms. Ayn Trope and Eulalia Jasmin both wrote in this week with humorous comments about how anyone could possibly use G. Gordon Liddy as a source for a definition of liberalism or any other thing. (He said a liberal is someone who feels a great debt to his fellow man, which debt he proposes to pay off with your money.) “Fifty two months in the big house as the chief executive of the White House Plumbers Unit, convicted of burglary and conspiracy, does not make him a credible source for anything except how to get caught doing underhanded things to damage the political process.” Ayn is not big on tact, which Winston Churchill said was “the ability to tell someone to go to hell in such a way that they look forward to the trip.” Ayn writes to champion@championnew.us and Ms. Jasmin writes to The Champion News, Rt. 72 Box 367, Norwood, MO 65717. Share your thoughts on tact or any other subject at either of these addresses. Olivia Trig Mastin with her big crawdad. 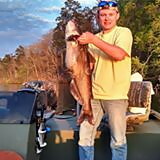 Dylan Watts with his big fish. Linda’s Almanac from over at The Plant Place in Norwood says that the 15th and 16th will be good days to plant root crops, to transplant, to prune to encourage growth and to apply organic fertilizer. The 18th is good to prune to discourage growth and the 19th and the 20th will be good days for planting above ground crops. It is hard to remember that the tenth of May is the approximate date of last frost in this area. It is easy to get too many things out too early. Sing, “Wait till the sun shines, Nellie!” in Champion—Looking on the Bright Side! The Krider family in Downtown Champion. Krider siblings in front, left to right, Harley, Vivian Krider Floyd, and Donald. Fae Krider to the left behind Harley, then Barbara Krider and Rita Krider. An eventful week in Champion started off in the regular way and then Harley and Barbara came home to look after their place. With some help Harley finally finished up a project that he had started last year when he replaced a water line. Over the course of the summer the landscaping will look as if nothing ever happened. The only evidence of all the hard work will be in the free flowing water and the archives of The Champion News. Then came Wednesday and the great confab in the Meeting Room at the Recreation of the Historic Emporium over on the North Side of the Square. In attendance were a number of regular participants: Mr. and Mrs. Leach, Mr. and Mrs. Partell, various shy members of the family Stone and some who know that when they open their mouths they are obligated to say something more beautiful than silence. What made this confab so great was the presence of Harley and Barbara Krider, Donald and Rita Krider, Fae Upshaw Krider, and her brother Robert (The General) Upshaw, and the Krider brother’s sister, Vivian Krider Floyd and her son Larry Floyd and his wife, Gayla, and their little dog, Cloe. the back enjoying cousins Foster and Kalyssa Wiseman. It was a beautiful day for Champion gatherings. It was a significant confab with laughter and knee slapping and reminiscing in spades. The next day was Thursday. It may be time for a new paragraph. A sultry and warm sunny Thursday found people working in the garden and others getting the lawn mower tuned up and ready. Ron Hurst had everybody’s attention on the six o’clock news with dire predictions of dangerous weather. He was on, off and on, all evening until just after midnight (about 12:20) when he said, “We see some rotation in Central Douglas County. If you are two miles north of Champion, south of Cold Springs and east of Brushy Knob, south west of Denlow and due west of Vanzant you need to be in your storm shelter now.” One of Champion’s favorite Ms. Powells lost the roof of her well house and soon thereafter an EF-1 tornado took the little building that had, at one time, been the Temporary Annex of the Historic Emporium in Downtown Champion and subsequently became a storage building for the Vanzant Country Store. In its new location in Vanzant it was blown apart by the storm together with fifty beautiful old trees there on River Stillwood’s place. She says the roof of her old house is a sieve and some windows were broken. She lost a number of animals as well. It looks as if her Grand Adventure of hiking the Pacific Coast Trail will have to be put on hold while she rebuilds. She says it will be an adventure of another kind. She will have help from good neighbors and the good wishes of her Champion friends. Many big trees on the Black Gate Farm were broken or uprooted. There was damage to the red barn that had survived when the Vanzant Post Office burned down years ago across Highway 95 from Esther’s house. Esther’s friend and neighbor, Corrine Rogers, lost some trees and had a little damage to the underpinning of her house but otherwise her grandson Billy says they came through it fine. Up W Highway, the perfect little log cabin that The General, who slept soundly through the storm, thinks was built by James Souder eighty to a hundred years ago is gone now. Fortunately there are some good photographs of it, but it brings to mind the fragile nature of a number of delicate historic buildings in the area that are in decline. The Vanzant Community Building is standing still (and chances are good that the regular Thursday night pot luck and bluegrass Jam will happen there on the 9th). In three minutes on the ground this tornado brought significant damage, but luckily no injuries and no loss of life apart from livestock, which is indeed a loss. There are messes to clean up and lots of firewood downed already for next winter, but there is hardly anyone who is not grateful for having been spared. Good Friday was full of Revelation (Wow! ), Resolution (We’ll be better prepared next time.) and Relief (Whew!) It seems time for another new paragraph. Saturday morning between 5:00 and 6:00 a.m. the total lunar eclipse reached its maximum bloody redness just as the whole thing slipped down behind the hill. Probably Deward Henson’s granddaughter could see it well, but the folks living in Ezra’s old place missed it by that much. Wilburn and Louise Hutchison also have an excellent vantage point and probably James and Jana Brixey do as well up on The High Road. Maybe some of them saw the magic of the eclipse and will share their visions. Saturday warmed up and was a glorious day—a day fit for the Champion Easter Parade. Barbara Krider has won “Best Dressed,” hands down, in previous years when her haute couture armadillo handbags dazzled judges. “Stunning” was the appellation. This time the procession was elegant and reflective as the pageant made a clockwise circuit of the Square. Posing with solemnity perched on a huge dismembered limb lying at the foot of the Colossal Stump (Vivian said, “first base,”) Barbara’s gaze was serene, and her little blue shoes were absolutely the cutest little things the judges had ever seen. They were Mary Janes, for goodness sake, with little white straps and a round little heel and toe in the prettiest sky blue imaginable. Once again Barbara’s style knocks it out of the park. The Easter Bunny slept in on Sunday after all of Saturday’s excitement. He was resting up to celebrate the 40th wedding anniversary of The General and his amazing, uncomplaining, understanding, and kindly indulgent Missus. Talk about a Champion! Birthday greetings go to Forrest Johnson on April 2nd. He is a great musician, a gardener and adventurer hopefully coming back to Champion soon in good company. Bud Hutchison has his birthday the 8th. He’ll be trail riding through again in early May. Dillon Watts celebrates on the 12th. He is a natural entertainer like his Granddad. He looks like his Grandad and would make the man proud. Bob Berry celebrates on the 14th. His friends hope he is taking his Studebaker and the fair Mary out for a spin. Skyline Archer Morgan Whitacre also celebrates on the 14th. She shares the day with second grader Coby Wallace. Wyatt Lakey is a kindergarten student at Skyline. His birthday will always be easy to remember. Tax day—April 15. He shares it with Vivian Krider Floyd, with Vivian’s nephew-in-law Dustin Cline, father of Drayson and Carson, and with Mr. George G. Jones , a gentleman of note. 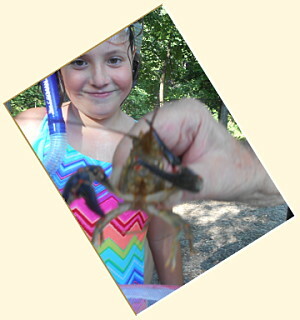 The next day, the 16th, is given over to Olivia Trig Mastin who caught the biggest crawdad on record down at the Millpond last 4th of July. Happy birthday all! 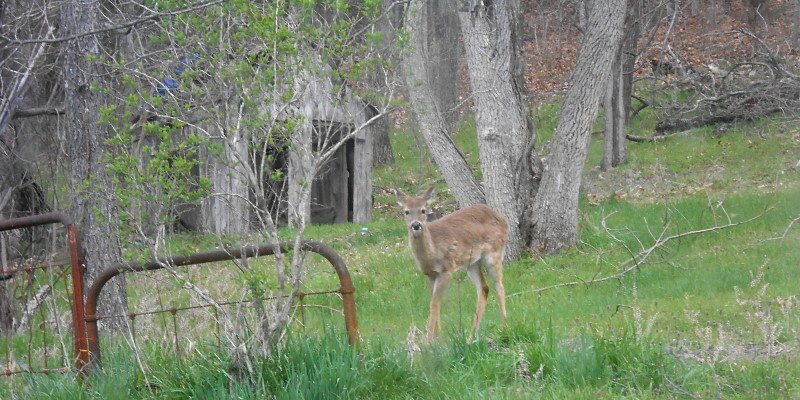 A photogenic deer enjoys some tender spring grass in Champion. Just a month ago there was still a great deal of snow on the ground. Now Old Champions are being noisy on their lawn mowers trying to get ahead of the verdant growth likely caused by the beautiful snow. 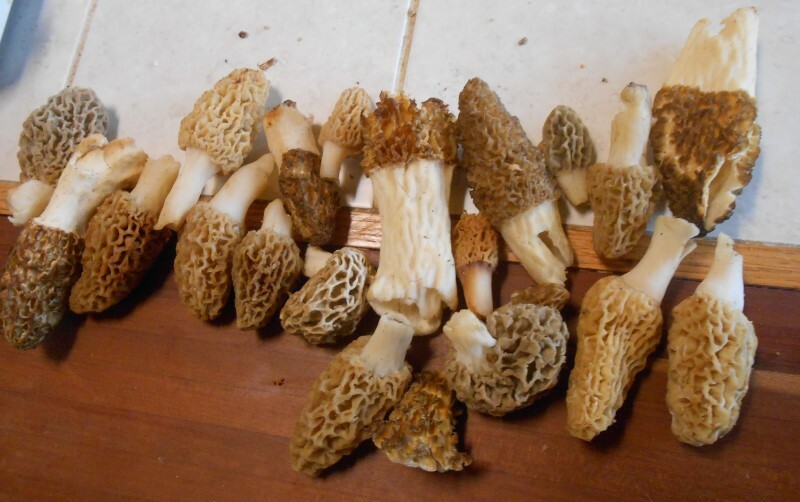 In the last few days the internet is full of pictures of morel mushrooms. Time is moving quickly. Senator Sanders reminds us that is better show up than to give up. Neil deGrass Tyson, the astrophysicists, tells us that we cannot blame politicians for the wretched condition in which we find our Nation and the world. He contends that the electorate is to blame. Help keep it a democracy by participating. Vote every chance you get. It has never been more important. A friend admonishes to “Walk in Balance” and that is excellent advice in these tumultuous times. A song for Spring lifts the spirits. “And there was music, And there were wonderful roses, They tell me, In sweet fragrant meadows of dawn, and dew” in Champion—Looking on the Bright Side!